I had some fun playing with my new Papertrey Ink goodies! 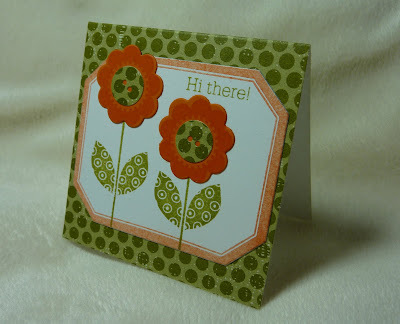 This little card is a 3" square card - perfect to pair with some goodies that I am determined to make with my Cricut Cake Mini during my spring break next week! 3" x 6" Distressed Dots Patterned Paper, scored at 3"
Cute and I love the polka dot paper.